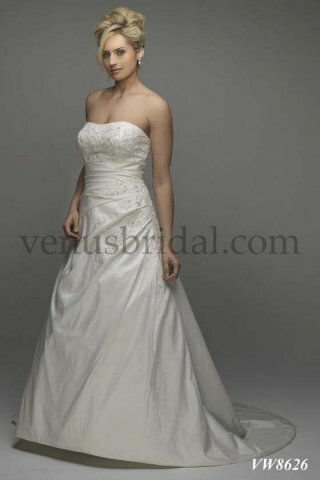 Strapless A-line silky taffeta bridal gown featuring a lace up back and a side swept ruching. 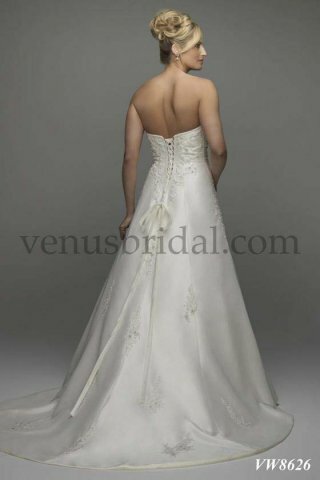 Finished with delicate floral clear and silver beading and embroidery. Size US 16 (UK18). Please check size chart for exact measurements.